Be the first to share your favorite memory, photo or story of Winnie Ruth. This memorial page is dedicated for family, friends and future generations to celebrate the life of their loved one. Mrs. Winnie Crocker Cantrell, 77, died Wednesday August 15, 2018 at Senior Citizens Village in Dunn. Mrs. Cantrell was born on January 14, 1941 in Nash County to the late Ottis and Elizabeth Haislip Crocker. Mrs. Cantrell was preceded in death by her husband Coy Cantrell and a son, Michael Griffin, Sr.
Mrs. Cantrell was a loving person who never met a stranger. She was known for her sweet smile that she always wore. She loved her family and friends, but most of all, she loved her Lord. A graveside service will be held Monday, August 20, 2018 at 1:00 p.m. at Temple Hill Memorial Park, 2429 Memorial Drive, Castlewood, Va, 24224, with Rev. Gary Mullins officiating. Mrs. Cantrell is survived by her sons, Marvin Griffin and Larry Griffin of Four Oaks; daughter, Robin Wells and husband Charles of Chapel Hill; brothers, Fred Crocker and wife Mary, Herbert Crocker & wife Gloria, Donald Crocker & wife Ellen; several grandchildren and great-grandchildren; as well as nieces and nephews. Visitation will be Saturday August 18, 2018 at 10 a.m. at Skinner & Smith Funeral Home in Dunn. To send flowers or a remembrance gift to the family of Winnie Ruth Crocker Cantrell, please visit our Tribute Store. 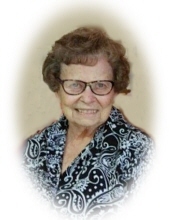 "Email Address" would like to share the life celebration of Winnie Ruth Crocker Cantrell. Click on the "link" to go to share a favorite memory or leave a condolence message for the family.